(Welcome to Day 1 of “Don’t Fence Me In” Week…) All this week we’ll be breaking Rule No. 2 of RealRide photo-taking — no pictures through chain-link fencing. Oh well, sometimes these goodies are too hard to pass up. 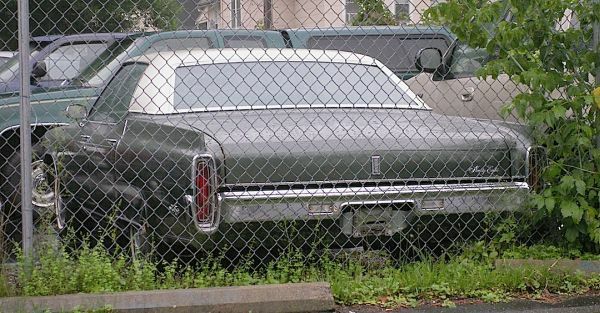 Like this 1972 Oldsmobile Ninety-Eight Sedan seen ears ago in Olean. In a language known as Oldsmobilese it’s called a sedan even though it’s a four-door hardtop. These Ninety-Eights were true luxury cars, often rivaling Cadillac in features — and size! Jim Corbran, RRofWNY The post RealRides of WNY appeared first on Buffalo Cars.